All images stock images from the web!!! 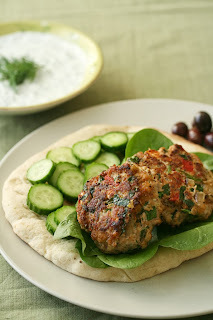 Somewhere I ran across a great recipe for Turkey Burgers with Feta and Greek (Kalamata) Olives that I tried once and loved. Can't find it anywhere now. All I can guess is that I originally printed it out, cooked it once and then threw the paper version away thinking it was saved somewhere in my computer. WRONG!!! In a web search, however, there are tons of recipes to choose from. It's all about figuring out what the right ratio of ingredients is. Last night I decided to give it a whirl and carefully measured everything to make sure I could repeat it. Not sure the results were exactly as wonderful as the first try, but not sure what I would change. One of the problems with Turkey Burgers in particular is the meat can be very dry and bland, so the additions in this recipe help kick it up a notch. I also tried something different this time - a mix of half ground turkey and half ground chicken to make it a little softer in texture. You could even use all chicken if you like. So here goes. Don't be afraid to adjust the proportions in a way that suits your taste. You could also make it more complex and flavourful by sauteing some garlic or shallots to add, but be sure and cool it first. Another possibility could be a few finely chopped sun dried tomatoes. 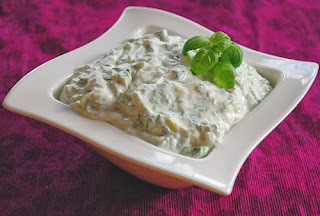 This is a strong addition in terms of flavour, so only add small amounts if you decide to go this direction. You can always increase the amount the next time. One last note - I actually prefer these as patties severed 2 per plate and accompanied with sides, especially in the winter. For variety or for a summer BBQ, you can also put them in a bun like a burger or in a pita pocket with Greek Tzatziki, lettuce, tomato and cucumber. No salt needed as the Feta and Olives cover that. Mix all ingredients well. 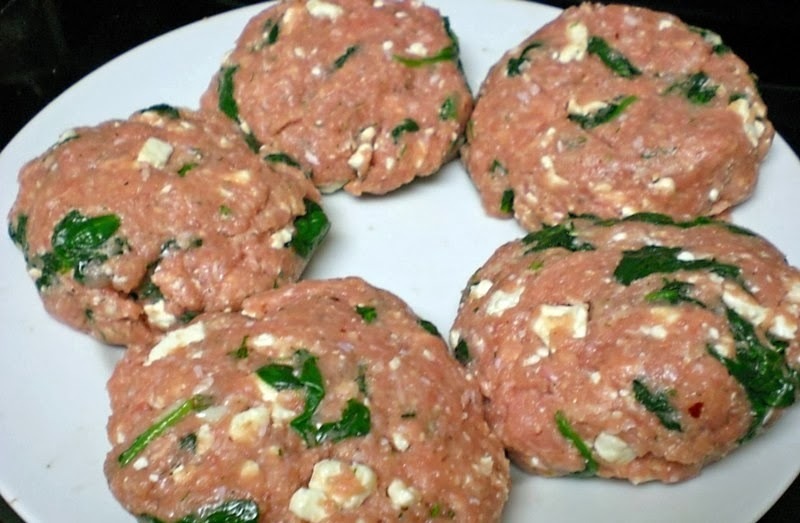 Shape into 8 patties and saute in non-stick pan until lightly browned on both sides or cook on an oiled grill. This is poultry, so be sure they are cooked thoroughly. I don't like to overpower the flavour with sauces, but a small about of Greek Tzatziki on the side would definitely complement the flavours. Don't be afraid to experiment and ENJOY!! !